While sometimes necessary for recording Actuals at warehouses, the use of paper media and information terminals can entail manual processes and visual confirmation processes, thus slowing down work. Manufacturing, distribution, and logistics solutions from Advanced Media enable hands-free/eyes-free operation, reducing errors and wasted time. AmiVoice iPicking is a new voice-picking solution that incorporates voice recognition technology and smart devices (iPod touch) to provide outstanding usability and scalability not achievable with voice recognition technology alone. Uses Apple’s iPod Touch to provide all the advantages of conventional handheld terminal-based voice-picking systems, which typically include voice input and hands-free/eyes-free voice dialogue input, but with functional scalability and at a significantly lower cost. Another feature of the system is compatibility with various usage formats, allowing users to work while monitoring the screen in a manner suited to the work content and work environment. Features voice command to quickly display work content and product images in list form, without touching the terminal. This function is based on feedback from workers who handle products that are difficult to distinguish at a glance. Feature 4Features an embedded engine compatible with noisy environments. The system incorporates an engine capable of accurately distinguishing between human voices and noise, allowing use even in noisy environments. Allows basic tasks to proceed through work instructions provided via voice guidance, reducing the terminal operation time required for product scanning and the confirmation of instructions. Allows users to confirm work content and product images in list format without interrupting work, thus facilitating work processes. Allows users to confirm quantities via voice guidance and incorporate visual work content and product confirmation naturally into workflows to prevent product and quantity errors before they happen. 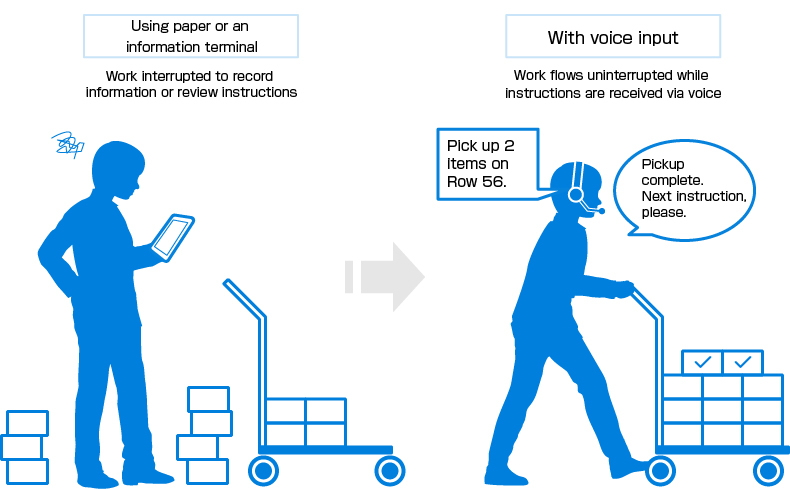 A voice-picking system that combines voice recognition technology with a handheld terminal for faster, hands-free operation and reduced error rates in various logistics processes. Compatible with a wide range of terminals, including smartphones, tablets, car navigation, smart TVs, and set-top boxes. Software for Windows PCs that enables voice control of keys on Japanese 109 keyboards. Enables incorporation of voice recognition functions into various applications. Ginza Cozy Corner Co., Ltd. 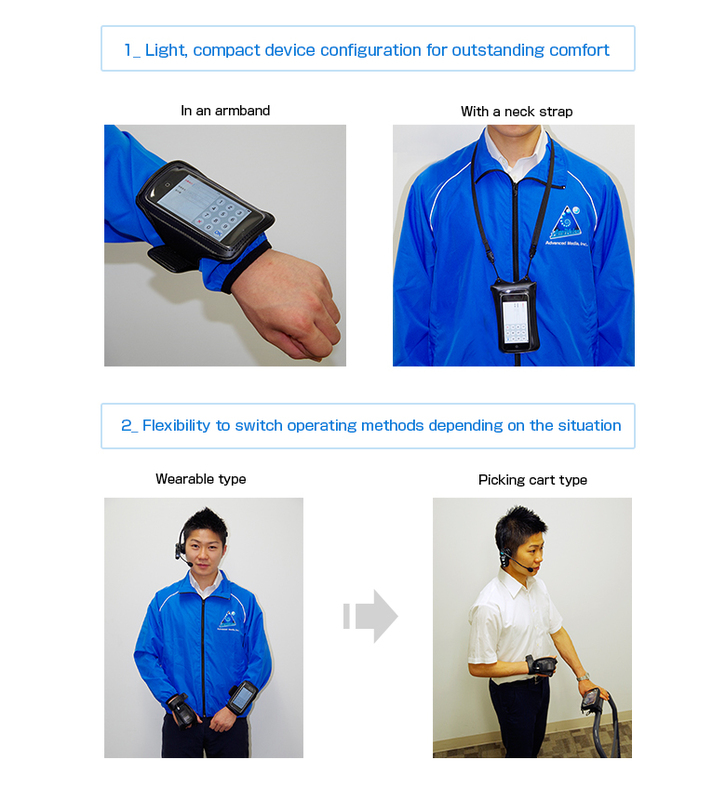 Improves the precision of delivery sorting work via hands-free/eyes-free operation.